The Donovan Group Luxury Sales Team; Kerry Donovan Megan Warren Debbie Hansen work in partnership with our clients to service all real estate goals. We are Nevada real estate broker salespersons and operate our business full time and year-round with Chase International, the Leader in Luxury Real Estate. A key component to our success is our dedication and responsiveness to our clients and having lived the Lake Tahoe lifestyle for over 26 years, we understand the uniqueness of the Lake Tahoe real estate market. Our exclusive partnerships with Leading Real Estate Companies of the World and Luxury Portfolio are in place to address both buying or selling of properties across the globe within our powerful network. Time to up size, down size, re-evaluate your real estate life plan? Our commitment is to tell you the truth and provide you the information you need to make the decision best for you. Our specialty is market knowledge and luxury marketing combined with working with the most competent real estate professionals in the Reno /Tahoe Area, San Francisco Bay Area, and within our global network of exclusive partnerships. We care about making your experience successful and easy. 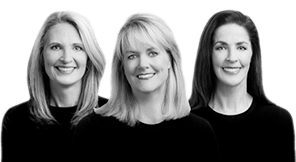 The Donovan Group Luxury Sales Team; Kerry Donovan Megan Warren Debbie Hansen work in partnership with our clients to service all real estate goals. We are Nevada real estate broker salespersons and operate our business full time and year-round with Chase International, the Leader in Luxury Real Estate. A key component to our success is our dedication and responsiveness to our clients and having lived the Lake Tahoe lifestyle for over 26 years, we understand the uniqueness of the Lake Tahoe real estate market. Our exclusive partnerships with Leading Real Estate Companies of the World and Luxury Portfolio are in place to address both buying or selling of properties across the globe within our powerful network. Time to up size, down size, re-evaluate your real estate life plan? Our commitment is to tell you the truth and provide you the information you need to make the decision best for you. Our specialty is market knowledge and luxury marketing combined with working with the most competent real estate professionals in the Reno /Tahoe Area, San Francisco Bay Area, and within our global network of exclusive partnerships. We care about making your experience successful and easy.